This year's Practical Insolvency Conference is top heavy with significant topics. 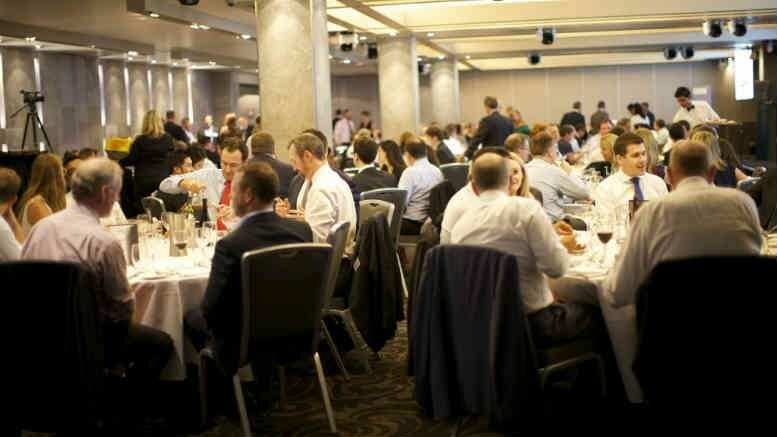 For a second consecutive year SiN is Official Media Partner for Traill & Associates‘ 16th Annual Practical Insolvency Conference and Gala Dinner, to be held on May 1 and 2 at Cockle Bay’s Dockside Centre in Sydney with special PPSA workshops to follow on May 3. Many of SiN’s readers know event organiser Rosie Traill. They’ve attended her conferences and know she’s been organising specialist insolvency conferences for more than twenty years. What those readers might not know is that this year’s event offers a special opportunity. In a year when the new Insolvency Law Reform Act (ILRA) has introduced a requirement for Registered Liquidators to undertake 40 hours of continuing practice development (CPD) and lawyers have their own requirements to meet, attending the conference and workshop will credit the attendee with up to 17 hours. For an RL, that’s almost 50 per cent of the total annual requirement, confirmed with appropriate certification issued on completion of the conference and workshops. And of course, there’s the main reason insolvency professionals attend Traill & Associates’ conferences – the speakers. One of the most significant sessions this year will involve Adrian Brown, Senior Executive Leader, Insolvency Practitioners at ASIC unveiling details of the regulator’s priorities for 2017 and beyond, including a continuing focus on practitioner remuneration. Conference attendees will also hear from QC/SC Robert Newlinds and Garry Bigmore, as well as barristers Farid Assaf and Vanessa Whittaker, the latter having recently played a key role in the momentous SAKR Nominees remuneration case before the Court of Appeal. Another highly topical presentation will come from Herbert Smith Freehills’ Paul Apathy, who is going to highlight the perils of imperfectly registering security interests under the Personal Property Securities Act (PPSA). Expect Forge Group and Alleasing to feature among the myriad examples that lend themselves to this topic. Apathy’s Brisbane-based colleague Peter Smith will meanwhile provide key insider analysis on Queensland’s contentious “chain of responsibility” law and the recent decision of the Supreme Court of Queensland in the matter of Linc Energy. Also presenting will be Dominic Emmett, Sally Nash, Chris McLeod, Michael Murray, Michael Rozdal, Jane Kupsch, Michael Lhuede and Chris Hill; as well as Geoff Green from NAB’s SBS team and Chris Wyke from Moelis & Company. A key feature of the Traill & Associates conference style is the engaging of presenters who the practitioners who appeared in the cases they will be dissecting, allowing for more in-depth analysis of the implications. The timing of the conference is also fortuitous, falling as it does between the two ILRA implementation dates; just after the draft legislation for Safe Harbour and ipso facto has been released (with an implementation date of 1 January 2018); and following a number of very significant legal judgements. Sessions will also cover Claims Against Directors, analysis of s433 following the Forge & Langdon & Amerind decisions, CoRA (if you don’t know what that is, as of last Thursday you need to!) the Safe Harbour / Ipso Facto Reforms, an ILRA round up, a session on Liquidator Remuneration, Insolvent trading, an insolvent transactions round up, Lenders’ & Receiver’s duties on sale, and Sally Nash’s Bankruptcy Update. Traill & Associates is also offering in-depth half day PPSA workshops on Wednesday 3rd May in the offices of Herbert Smith Freehills. Details of the conference and the workshop can be found at www.traillandassociates.com. *Discount applies to the conference registration only dated after this SiN publication with this offer and does not include dinner or workshop rates. No other discounts apply. Registrants must write the words “SiN subscriber” on their registration form to be eligible for the discount. Be the first to comment on "Advertorial: Timing propitious for Insolvency Conference"